Beautiful Flooring Ltd is a Bond Retail Marketing Ltd Company. When you access this website (“Site”) or content or services available via the Site (“Content”), you acknowledge that you have read and agreed to abide by the terms described below and you are deemed to have entered into an agreement with beautifulflooring.co.uk on the basis of the terms and conditions set out below. We may revise this agreement at any time by posting revised terms on this site which shall take immediate effect. It is your responsibility to check for any updates regularly. If you have any concerns about the content, please contact us at our registered office shown above. Whilst every effort has been made to ensure the high quality and accuracy of the Site, beautifulflooring.co.uk makes no warranty, express or implied concerning the Content, which is provided “as is”. Beautifulflooring.co.uk expressly disclaims all warranties, including but not limited to warranties of fitness for a particular purpose and warranties of satisfactory quality. 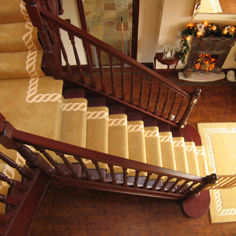 In no event will beautifulflooring.co.uk its affiliates or other suppliers be liable in contract, tort (including, without limitation, negligence) under statue or otherwise for direct, special, incidental, or consequential damages (including, without limitation, damages for loss of business profits, business interruption, loss of business information of other pecuniary loss) arising directly or indirectly from the use of (or failure to use) or reliance on the Content, any websites linked to it and any materials posted on it, even if beautifulflooring.co.uk has been advised of the possibility that such damages may arise. Beautifulflooring.co.uk does not guarantee the accuracy or timeliness of the Content appearing on the Site, or that the Site or related systems are free from viruses or other contaminating or destructive properties. Any of the Content on the Site may be out of date at any given time and beautifulflooring.co.uk is under no obligation to update such material. The term “Intellectual Property Rights” means copyrights, database rights, trademarks, trade names, domain names, rights in logos, get-up and content, inventions, trade secrets and know-how, patents, all rights of whatever nature in computer software and data, all rights of privacy and all intangible rights and privileges of a nature similar to any of the above in every case in any part of the world and whether or not registered: and including all granted or pending registrations and all rights to make applications for registration in respect of any of the same. You may not reproduce, modify or in any way commercially exploit any of the Content without prior written permission from beautifulflooring.co.uk. Written materials provided in printed or electronic form to you by beautifulflooring.co.uk may not be modified, adapted, translated, or used to create derivative works without the prior written consent of beautifulflooring.co.uk. Notwithstanding the above, you may download (including caching) and use the images on this website provided that such use is for personal use only and not for personal gain. Beautifulflooring.co.uk status as the author of any Content must always be acknowledged. Any use of Content not specifically permitted above is expressly prohibited. Requests for permission for other uses may be sent to info@beautifulflooring.co.uk. We reserve the right to charge a fee. Beautifulflooring.co.uk will try to ensure continuous availability of the Site, and all the Content, but accepts no responsibility for the consequences of interruptions or delays, whatever the cause. We make no warranties as to the availability or accessibility of the Site. Beautifulflooring.co.uk will not be liable for any damages, loss costs or expenses incurred by you as a result of any lack of availability or accessibility of the Site. The Site contains links to internet sites and resources maintained by third parties. Beautifulflooring.co.uk accepts no responsibility for the privacy practices or content of other such sites. You assume sole responsibility for use of third party links. Beautifulflooring.co.uk provides these links merely for your information and as a convenience and the inclusion of such links does not imply an endorsement. Parts of the Site may contain advertising or other third party content. Advertisers and other content providers are responsible for ensuring that material submitted for inclusion on the Site complies with international and national law. Beautifulflooring.co.uk is not responsible for any third party content or error, omission or inaccuracy in any advertising material. These Terms shall be governed by, and construed in accordance with, English law. The parties irrevocably agree to irrevocably submit to the exclusive jurisdiction of the English courts in relation to any dispute, which may arise out of, under, or in connection with these Terms or the legal relationship established by them. Beautiful Flooring is a trading name of Beautiful Flooring Limited (Company Number 6872957). We will use your personal details and information we obtain from other sources to provide you with our goods and services, for administration and customer services, for credit scoring, for marketing, to analyse your purchasing preferences and to ensure that the content, services and advertising that we offer are tailored to your needs and interests. We may keep your information for a reasonable period for these purposes. We may need to share your information with our service providers and agents for these purposes. We may disclose personal data in order to comply with a legal or regulatory obligation. We may also store information about you using cookies (files which are sent by us to your computer or other access device) however once you have left the website we do not store any information. We may also share your information with our business partners e.g. home furnishings, interior decorators, home renovation, do it yourself, for marketing purposes or we may send you information about other organisations’ goods and services, unless you opt out by ticking the box provided. We or our business partners may contact you by mail, telephone, fax, e-mail or other electronic messaging service with offers of goods and services or information that may be of interest to you e.g. about home decoration, interior design, soft furnishings. By providing us with your personal information, you consent to our transferring your information to countries or jurisdictions which do not provide the same level of data protection as the UK, if necessary for the above purposes. If we do make such a transfer, we will, if appropriate, put a contract in place to ensure that your information is protected. We link to a wide variety of other sites and we display advertisements from third parties on our site. We are not responsible for the content or privacy policies of these sites and third party advertisers, nor for the way in which information about their users is treated. In particular, unless expressly stated, we are not agents for these sites or advertisers nor are we authorised to make representations on their behalf. If your personal details change, if you change your mind about any of your marketing preferences or if you have any queries about how we use your information, please let us know by contacting us at info@beautifulflooring.co.uk.